Kennel Cough is a highly contagious upper airway infection in dogs. It is caused by a number of different viruses and bacteria and is characterised by a loud, barking cough, often with some white froth being coughed up. Kennel Cough is not unique to kennels – it can occur anytime a dog comes into contact with another infected with the disease. It is more properly called Canine Infectious Tracheobronchitis. Symptoms are of a loud cough – often described as a goose honk – frequently with retching at the end which may produce white froth. The froth is not always seen as the dog may swallow it. Kennel cough can be associated with eye and nose discharges and occasionally also with fever and pneumonia. The incubation period is usually around four or five days. Kennel cough varies a great deal in severity from a mild, self limiting disease lasting only a few days to a severe cough that can persist for three weeks. In rare cases kennel cough can lead to severe illnesses such as bronchopneumonia. More severe cases tend to occur in individuals with multiple infections and in immune compromised animals. Kennel cough can potentially transmit to humans although this is rare and usually only to immune compromised people. Treatment depends on the severity of the disease in the individual patient. In very mild cases no treatment is needed. Other patients may require anti-inflammatories and also antibiotics if a bacterial cause is suspected. If you think your dog may have kennel cough and needs treatment please notify your vet at the time of making the appointment so steps can be taken to prevent spread to other patients. Kennel cough can be largely prevented by vaccination. 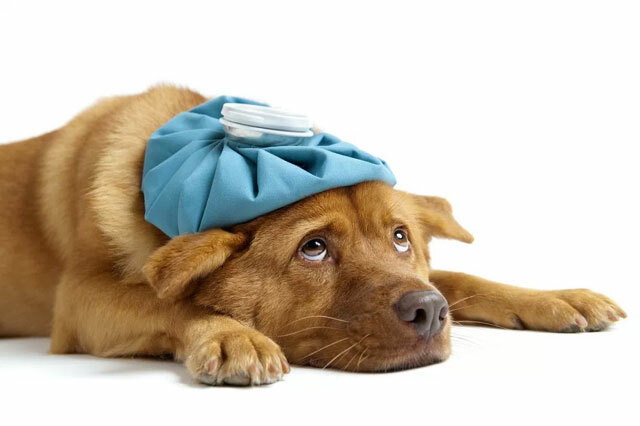 Three of the main causes of kennel cough – Bordatella bronchiseptica, Canine Parinfluenza virus and Canine Adenovirus can be vaccinated against. These compromise around 95% of all kennel cough cases – with Bordatella being the main culprit in at least 65% of clinical cases we see. Whilst no vaccine is 100% effective and there remain a few infectious causes we can’t vaccinate against, vaccination is still an excellent way of massively reducing the chances of your dog contracting the disease. Even if they do contract the infection vaccinated dogs tend to get much milder symptoms. Bordatella vaccination is given separately to normal vaccines as a nasal spray and is not prevented by the usual, injectable vaccinations.